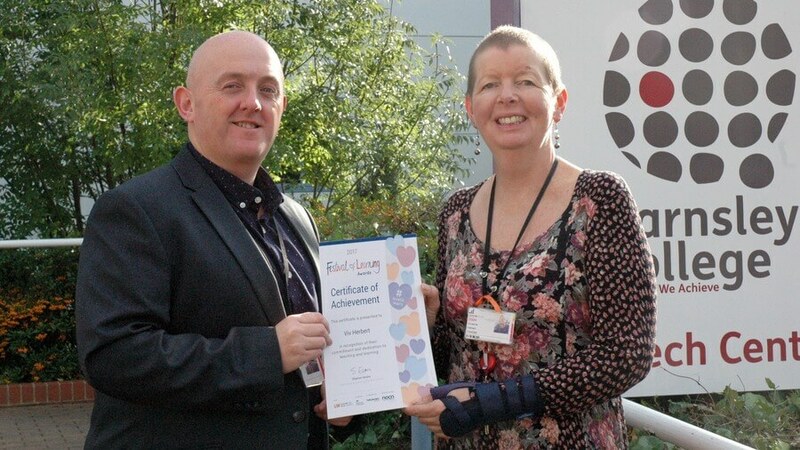 Viv receives her Festival of Learning Certificate from Lee Pryor (pictured right), Head of Health, Science and Social Care Professions. College tutor Viv Herbert has been recognised for her contribution to the development of adult students. Viv has received commendation for her commitment to students as part of the national Festival of Learning Week, which took place in the summer. Health tutor Viv, of Wellfield Grove, Penistone has enjoyed a 34 year teaching career at the college and is still going strong, after spending the past 18 years teaching Access to Higher Education (HE) courses. Viv said: “Teaching gives me a real feeling of achievement. 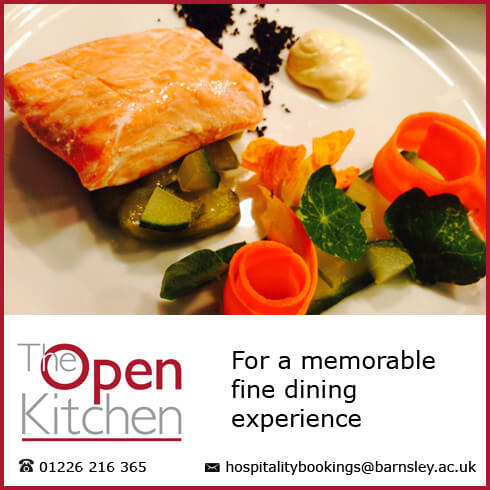 It’s great to help to change people’s lives by enabling them to successfully achieve the qualifications needed to study courses leading to their chosen career.